Skin and nail problems are common foot conditions that we can help you with at The Foot Clinic. We offer podiatry procedures and treatments for ingrown toenails, fungal nails, corn and callous, warts and plantar warts. Skin and nail problems can occur when we use our feet intensely. The average person, over the span of a lifetime, walks about 130,000 kms, the equivalent of three times around the world. So our feet take quite a lot of abuse. 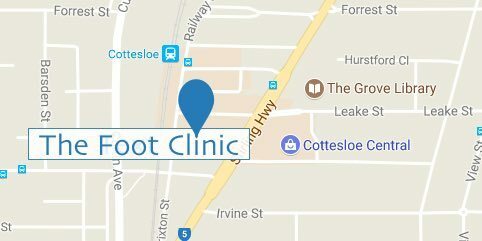 Our focus at The Foot Clinic is to reduce your discomfort, help you get rid of the pain, and work on what prevents you from being as active as you want to be. 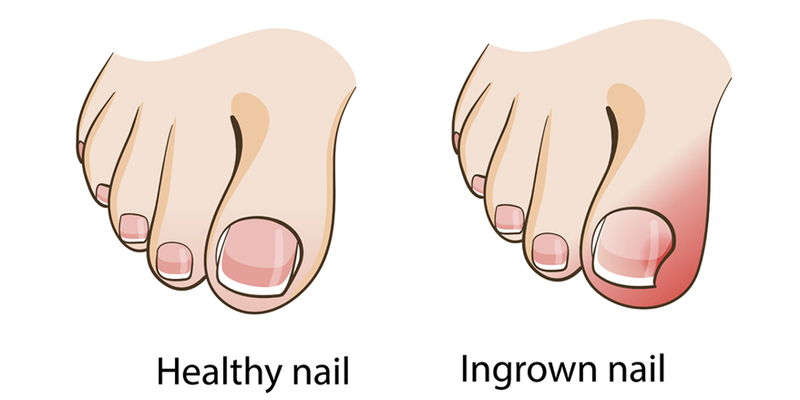 Skin and nail problems like ingrown toenails are caused by a number of things, like poor cutting technique, low quality footwear or abnormal nail shape. Your nail starts embedding itself into the skin, and this causes a painful irritation. At The Foot Clinic, our first focus is assessing the level of irritation or inflammation, and we have a number of treatments available, to get rid of your skin and nail problems. Heel pain or ankle pain can be caused by a number of things and depending on the underlying cause, treatments will vary. Read more about the causes of Heel or Ankle Pain. Skin and nail treatments are part of our regular podiatry services that we offer. Sometimes treating these symptoms requires specialised equipment, and self-treatment is not always possible. Fungus is a micro-organism that thrives in damp or moist environments. Nail problems such as fungal nails are often caused by overexposure to water, or sweating in tight footwear. This type of infection also occurs more often in people with an abnormal Ph level in the skin, or people with lower immunity. 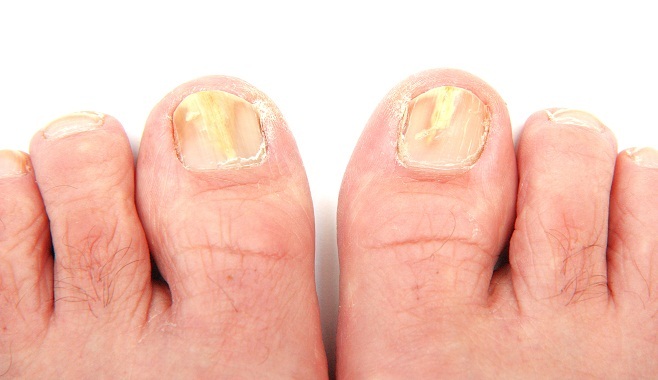 The first symptoms would be white or yellow spots under the tip of your toenail, some thickening and crumbling of the nail, and debris under your toenail. The sooner you speak to your podiatrist at The Foot Clinic, the higher the chance of a treatment with simple conservative techniques. If the skin and nail problems are more severe, then a minor surgery using local anaesthetic may be needed to control the fungal infection. A corn is actually an extra layer of skin, forming on parts of your skin that carry weight, or that are subject to pressure (from shoes for example). Corns are circular in shape, and if they are painful it is important to see your podiatrist at The Foot Clinic. Corns with a soft centre will look whitish and have a rubbery texture, in areas where the skin is moist and sweaty. Hard corns typically form on bony parts of the foot, or within calluses. Calluses are generally bigger, wider and more superficial than corns, with less defined edges. They are yellowish in colour and feel lumpy, and occur where your skin is rubbed by bone or by your shoes. It’s important to see your podiatrist when a corn or callus becomes inflamed or painful. If you have poor circulation, fragile skin, or diabetes, then it’s important to pay even closer attention to skin and nail problems. At The Foot Clinic we specialise in looking at the “bigger picture”. Often skin and nail problems are caused by other factors, like the biomechanics of your body. In simple words: the way you move. By assessing your step, and the way you position your feet and legs, our experienced podiatrists will be able to see the whole picture. This approach is important, to make sure that one problem (poor posture) isn’t caused by a superficial problem (skin and nail problems) or vice versa. At The Foot Clinic, we create great bodies, from the feet up. So it’s important to first give you a clear diagnosis and reduce the pain and inflammation. We will always present you with different treatment options, using the latest, innovative technology. And we will include advice on footwear, to make sure you can make well informed lifestyle choices and enjoy healthy feet, including healthy skin and nails. As a team of passionate podiatrists, we build on our experience in the treatment of skin and nail problems and in the area of the biomechanics of the human body.